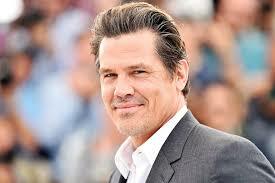 For those few that are not Josh Brolin fans, cinema theatres this summer may not be the place for you! Following on from his powerful performance as the mighty Thanos in the Avengers: Infinity War, audiences are soon to see Brolin conquer the summer blockbuster market in Deadpool 2 in which he plays Cable and he also returns to his role as Matt Graver in the Sicario: Day of the Soldado, the sequel to Denis Villeneuve's critical and box office hit, making it three potential high grossing movies that will feature the California native. It's been an interesting journey for Brolin, who after success with Goonies, spent the next twenty years threading the boards, featuring in a lot of low key rather underwhelming TV and feature films before 2007 saw him explode on to our screens again as Planet Terror, No Country for Old Men and American Gangster announced the arrival of Brolin:Part 2. In the years to follow Brolins work tended to fluctuate critically and commercially as he often followed the very good - Milk (a role for which he was Oscar nominated), W., True Grit, Hail Caesar with the very bad - Men in Black 3, Labour Day, Oldboy and Gangster Squad to name a few. His no nonsense demeanour and incredible range has always made him one of Hollywood's consistent and at times underrated actors and this transition to box office stalwart and popcorn cinema idol is one that can only benefit the viewing public. With a sequel to Avengers:Infinity War on the way and the movie X-Force in production with Brolin again reprising his role as Cable, this box office giant isn't going anywhere anytime soon so non believers may have to spend the next few summers avoiding the local omniplex as we are just now witnessing the box office re-birth of Brolin and I for one, can't wait!